Forward Thinking... 2019 is almost here! December is here, and Christmas is right around the corner! For us at Zao, this is the time of year to plan, plan, plan! If you have had a look around our website recently, you will notice that we already have dates up for summer 2019. 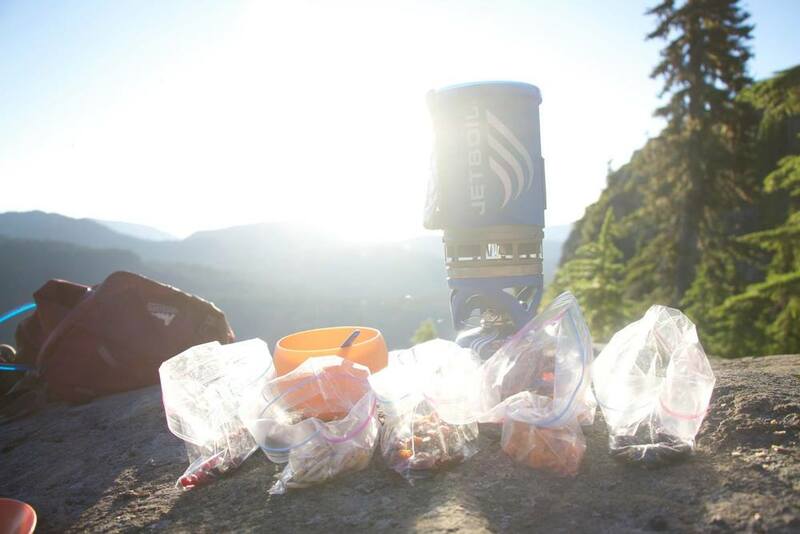 We have been hard at work brainstorming what would be some fun, new, and exciting camp options for this coming summer, along with our classic favourites. New on the calendar in 2019 will be surfing, and kayaking camps. We are broadening our horizons to include more water-based activities, and allow for a greater variety of participants with different skills and abilities. While the dates are already posted, our registration links won’t be posted until the new year. If you want to know more about any of the camps being offered, get in touch with us! Continuing for its third season is the GLT program (Guide Leadership Training), which we offer in partnership with Wildside at Camp Imadene. This is an 11 day program on location at Wildside in July where participants learn the ins and outs of being a Christian Outdoor Leader. We offer certification in first aid, canoeing, an entry level guiding certificate with the OCC (Outdoor Council of Canada), and instruction in caving, rock climbing, setting up tarps, knot tying, and so much more! There are opportunities after completion of the training for successful candidates to do practicums with Zao, or Wildside when available. At this point there is the option to continue training with a second year in the program, and potential for a third year if the demand is there. Even if participants do not come back for more training, the experience and knowledge gained in the program is highly desired in the outdoor industry, and all the skills learned will no doubt contribute to a career in the outdoor industry if that is a desired outcome. It is our goal to not only train up young leaders, but also prepare them with faith based knowledge and skills to continue on their own faith journey. 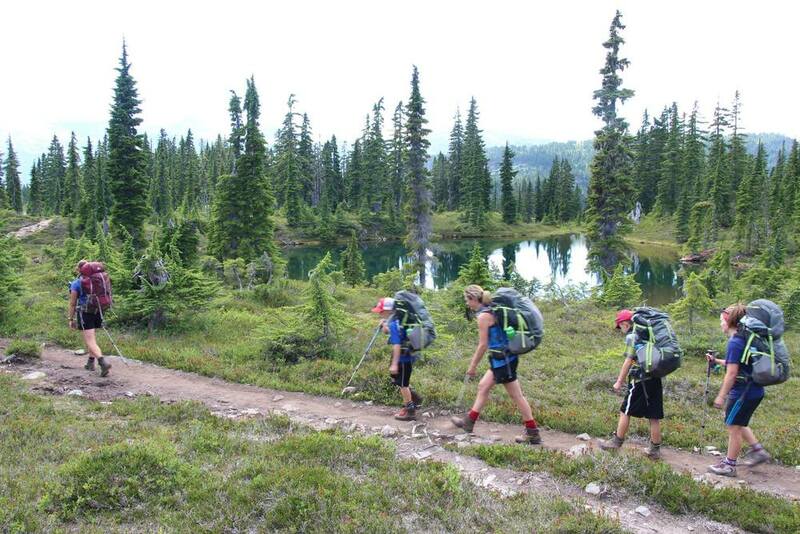 This is a great program for high school age students that are keen to get experience in the outdoor industry, continue building their faith, and want to grow as leaders in a safe environment. Find out more about the GLT program here. Registration will open in the new year. If you are reading this and you are from a church or some other organization and you are thinking, “Gee, these outdoor programs sound really neat! It would be fun to organize one for our group”, fear not! We have set camps during the summer months with open registration, but we are more than happy to set up custom programs too! 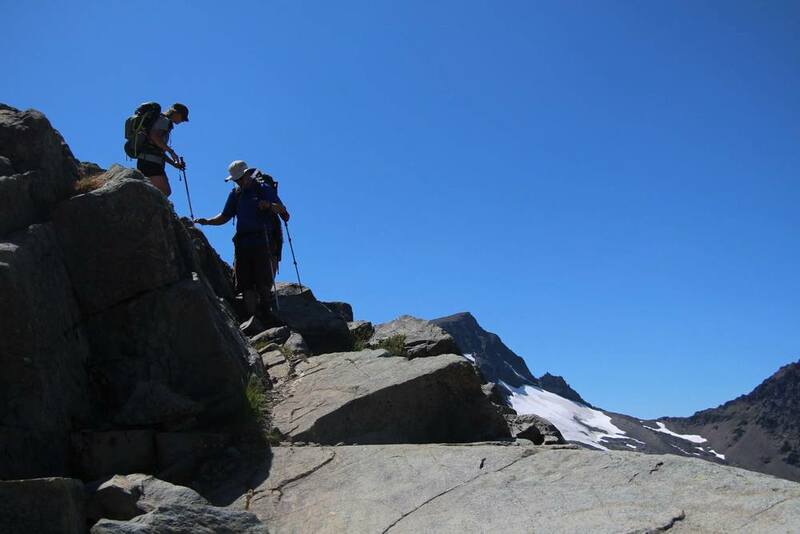 If you want a day of rock climbing, a week long coastal hike, a weekend alpine trip, an afternoon paddle, or something else, we can make it happen! Get in touch with Alexis to make your plans a reality! We have some more exciting news to share that we hope you will enjoy. We now have an option for online giving through our denomination, the CBWC (YAY!). Click here to go to our donation page. From there you will see the options for giving, and the link to the CBWC donation page. There are options for one time gifts, as well as setting up monthly giving. All donations made through the CBWC are tax receipt-able and contribute directly to Zao in helping cover our operating costs, and reducing our camper fees. If you would like to donate to something specific for Zao, please include a note with your donation and we will ensure it goes to the right place. Zao does not have its own charitable status at this point in time, so until that happens the CBWC takes care of things for us, which we greatly appreciate! Are you an aspiring outdoor leader, or someone that wants to make a difference with a Christian Outdoor Ministry? We are hiring interns and guides for this coming season. Head to our Join the Team page to learn more and find our application forms. We want to share some exciting news! We have hired Alexis Collier for our new position, Marketing Communications Director. Alexis has been with Zao since the spring of 2014, when she was serving as our summer intern. She has since served in various roles with Zao; staff guide, lead guide, and assistant program co-ordinator. As of October 2018 she has taken on the role of Marketing Communications Director, and is now the main contact for Zao year-round. If you happen to see her at your church, or pass her on a trail feel free to say hello and talk to her about the exciting things Zao is doing. 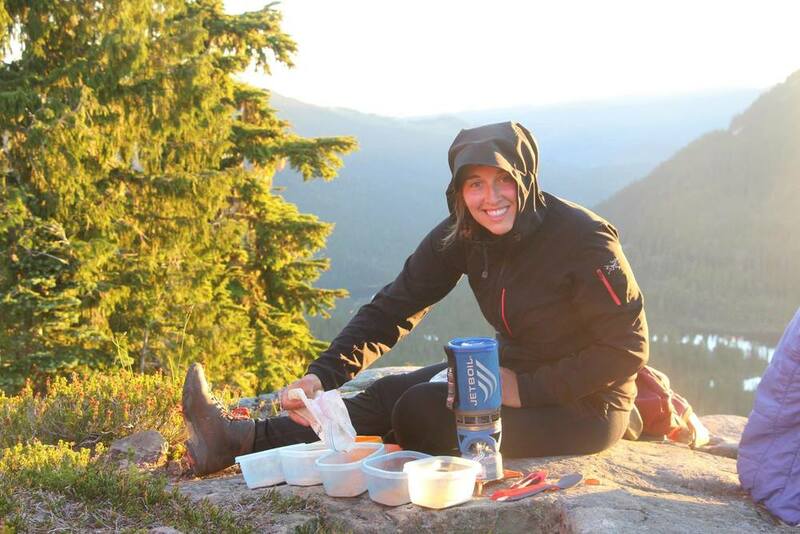 Alexis has a Bachelor of Arts in Outdoor Leadership from Columbia Bible College, and is certified with the Association of Canadian Mountain Guides as an Apprentice Hiking Guide. 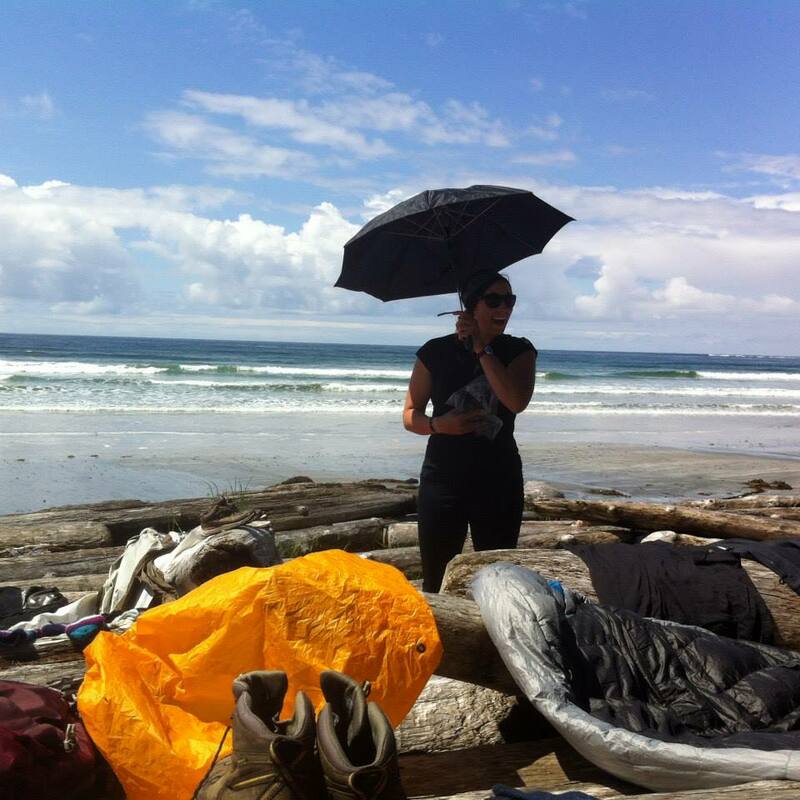 Alexis is originally from Alberta, however something about the awe of the ocean and the mountains has given her a permanent love for BC. Alexis has been involved in summer camp ministry for many years in BC and Alberta. Some of her favorite outdoor activities include skiing, kayaking, and hiking. Alexis lives with her husband, Mack, in Black Creek and works at Mt. Washington Alpine Resort as a professional ski patroller during the winter season. 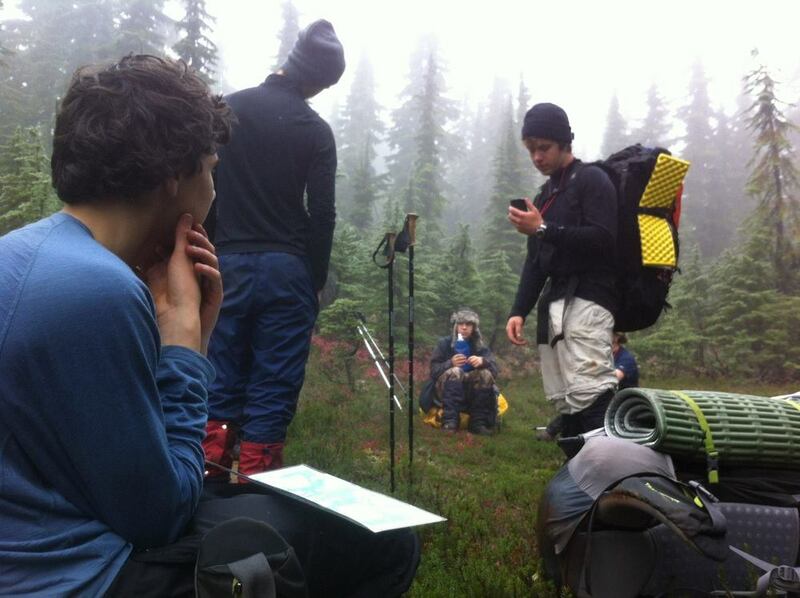 She holds advanced wilderness first aid and OFA Level 3. 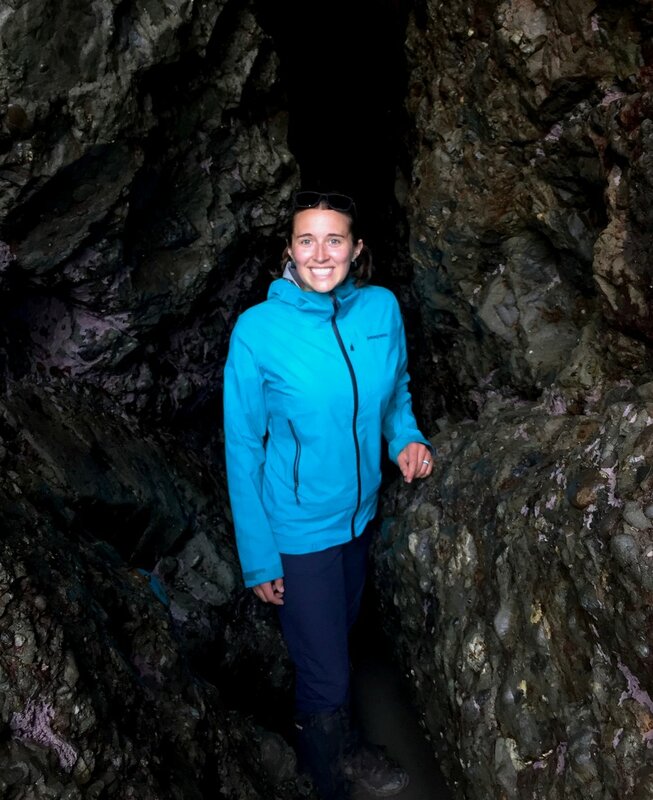 Alexis believes in the need for outdoor ministry and desires to share her love of creation with others and walk beside people as they experience the excitement of a new adventure in the wild. She has a passion for learning the stories of those around her and getting to know people. She is a joy to be around, thanks to her capable leadership skills, attentive eye, and infectious optimism. Feel free to get in touch with her to chat about ways that you or your organization could partner with Zao. 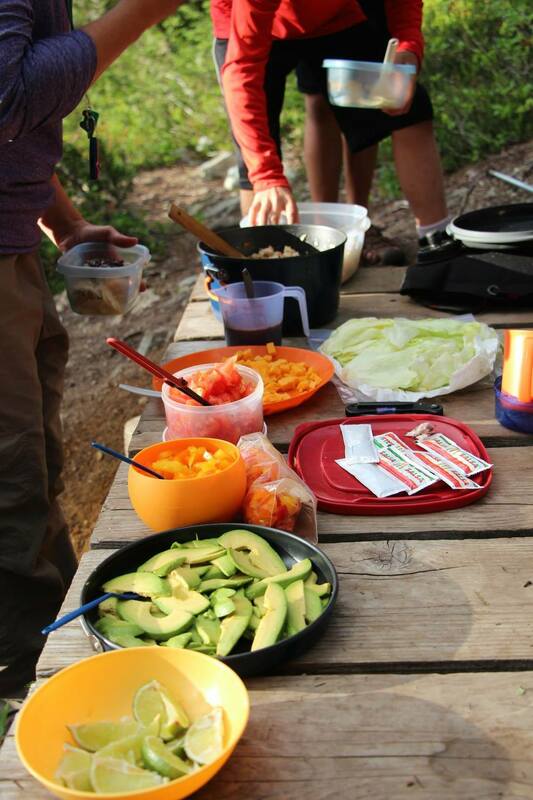 Do you believe in the need for outdoor ministry? Do you have a passion for encouraging people to experience Jesus Christ? If you are interested in supporting our ministry and want to walk beside us as we continue to grow please consider subscribing, donating, or even joining the board. Zao is currently looking for more people to join the board team. 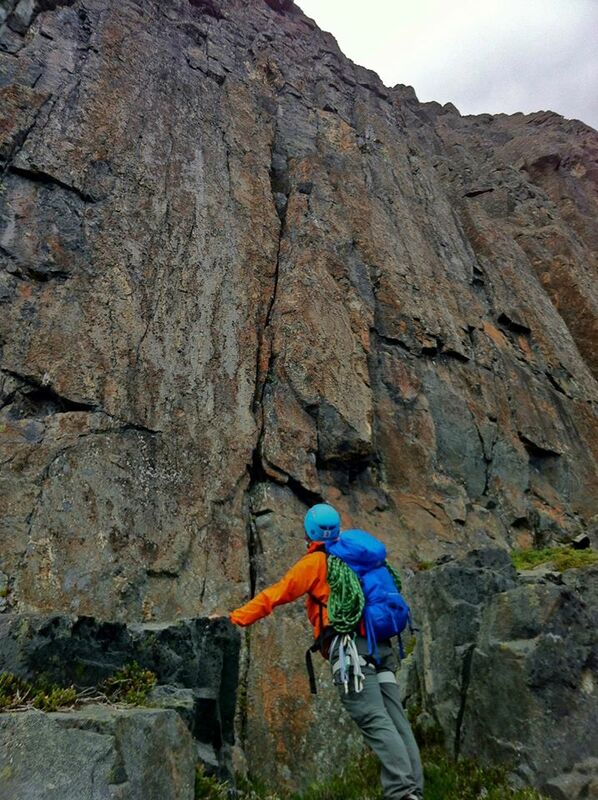 Announcing Mobile Rock Climbing Programs! There has been a lot of behind-the-scenes effort putting the pieces together for our new experiential rock climbing programs, and today we are able to make it official. Spring/Summer 2015 will see Zao leading experiential outdoor rock climbing programs for youth and adults! We will be able to facilitate rock climbing programs for youth groups, staff team building, small groups, etc. Our max group size will be 8 - 10 participants, and we will be fully mobile with our new 15-passenger van. Special thanks to the Canadian Baptists of Western Canada Opportunity Grant that we applied for and received last year-- this wouldn't have been possible without their investment in our ministry. Our basecamp improvements, our van, and now equipment for this program are huge blessings to us, and ultimately to those who we will serve. 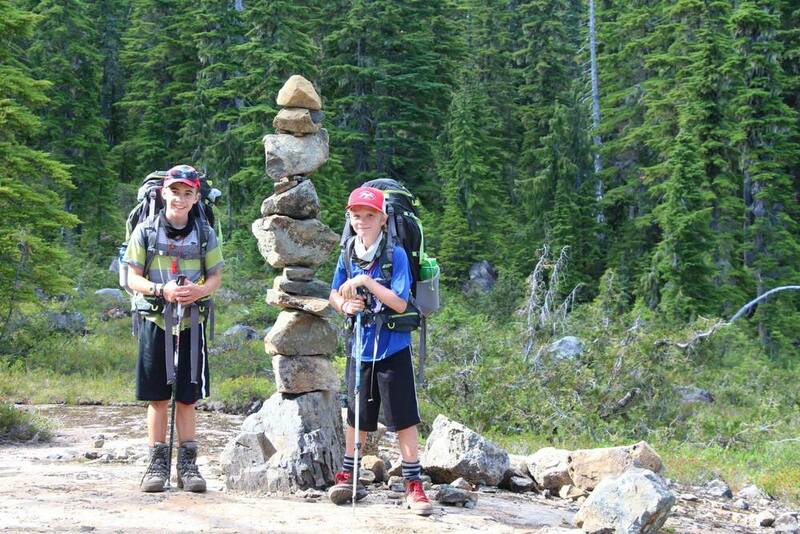 There is something special about parents and kids sharing a multi-day adventure. 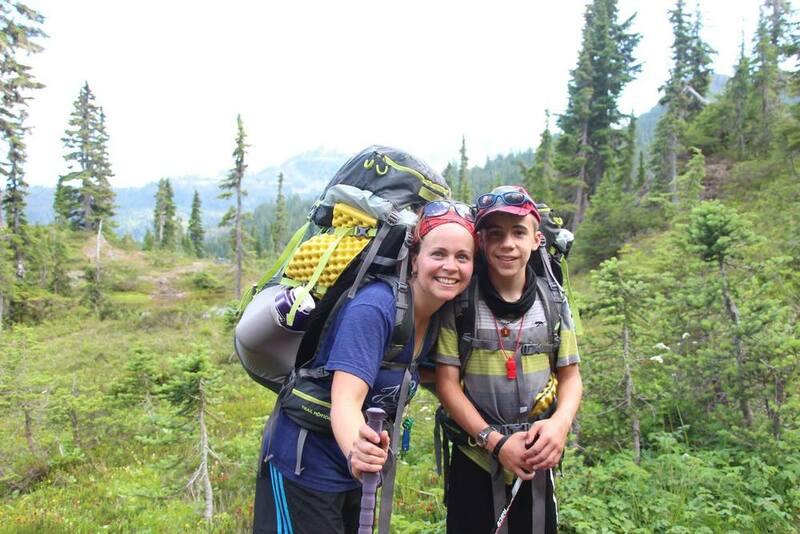 When we ran a Mothers and Sons alpine camp last year, we received an abundance of gratitude from the parents because we provided the gift of time. They travelled together, climbed a mountain together, ate and laughed together, and even had "duo time" in a pristine subalpine meadow, away from usual distractions. This award-winning documentary is playing the festival circuit, and will be released to the public soon. 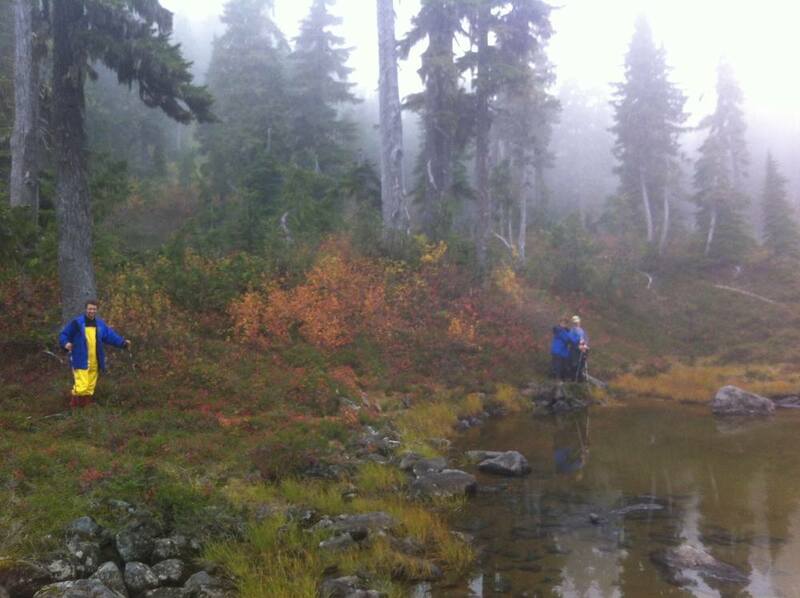 following a compass bearing to "mystery lake"
We were back with the new Adventure Discipleship Program, this time in the beautiful Vancouver Island alpine! At the end of the summer we made some improvements to our basecamp and had a volunteer work crew helping serve our field team. This was such a blessing! These volunteers helped welcome campers and their parents, they cooked for us, and even ran some last minute errands. I worked with teacher James and two apprentice guides on this trip. What a wonderful group of young men! 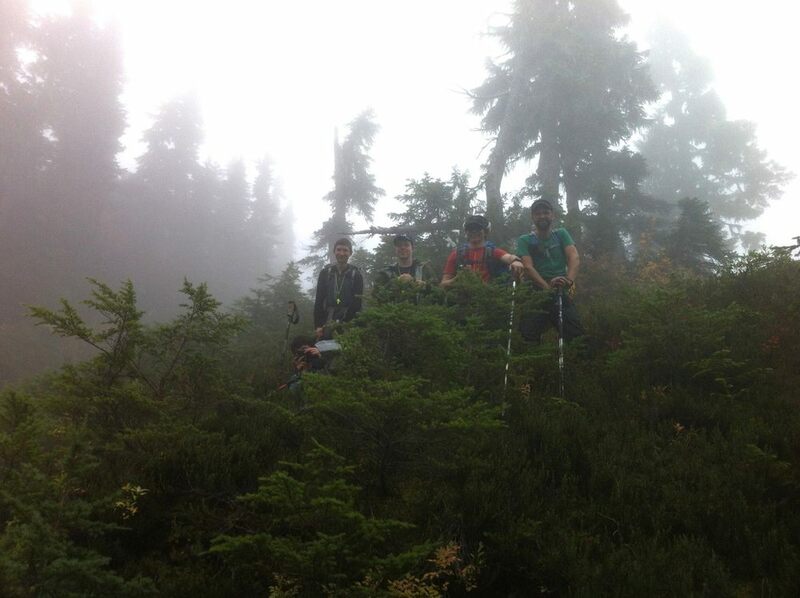 These grade 10-12 students were beyond excited to get into the hills. After the usual bonding time and equipment preparation at base camp, we drove up into the mountains and punched into the fog. This reduced visibility stayed with us for four full days, and it provided fantastic conditions to build compass/map navigation skills. 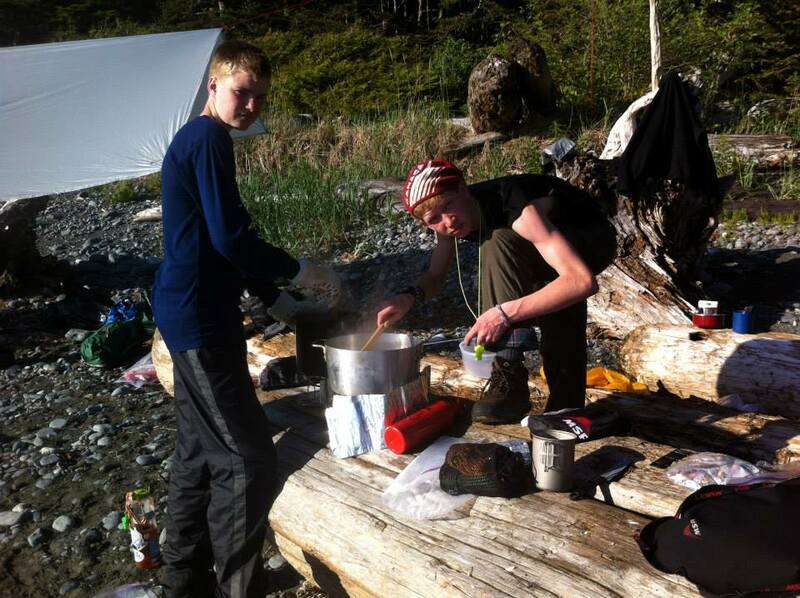 We moved our camp a couple times, and were able to spend a lot of time working on leadership and hard skill development including backcountry cooking and camp craft. Our daily meetings were an amazing venue for exploring our identity in Christ, and how this changes everything! We worked through passages in James and John, and found ourselves tuned into the shorter days and longer nights. One camper noted how absolutely quiet and still it is away from the noise of regular life. He stated, "it's easy to breathe out here". Isn't it? This sense of being alive-- fully alive . . . it's what we are all about. Providing space for our campers to know and get a sense of this experience is exactly why we exist. ζάω "Zao" is the Greek word for this exact thing-- not dead and lifeless, but having joy in real life. We had a nasty cold virus strike down a couple of our young men, and it was astounding to witness what happened with the group. Typically this kind of situation, where the group's objectives (mountain peak) need to be re-evaluated and plans need to be adjusted, results in hurt feelings, conflict, and general discord. But these campers adjusted their preferences and expectations in order to serve each member of the group. We facilitated a beautiful conversation around risk management and internal group dynamics that can lead to increased actual risk, and these guys were genuine about actually loving their neighbour. One of the ambitious-yet-flexible campers stated, "hey, the mountain will be there next year. I'll come back!" We know that when rigid plans get buffeted by the wind, they'll only get bent out of shape. What a wonderful opportunity for these campers to exercise solid decision-making skills that apply directly in all areas of their life, not just in the wilderness. These young men thoughtfully considered how we extend grace and serve others, all in light of how our Lord extended grace and served us. Our last two days were majestic; the sky opened, forming brilliant blue pockets among breeze-blown, shifting clouds. We ate lunch high on the ridge and soaked it in, knowing we would be walking back to regular life, not unchanged from our mountain experiences. Keely with her son atop a summit! 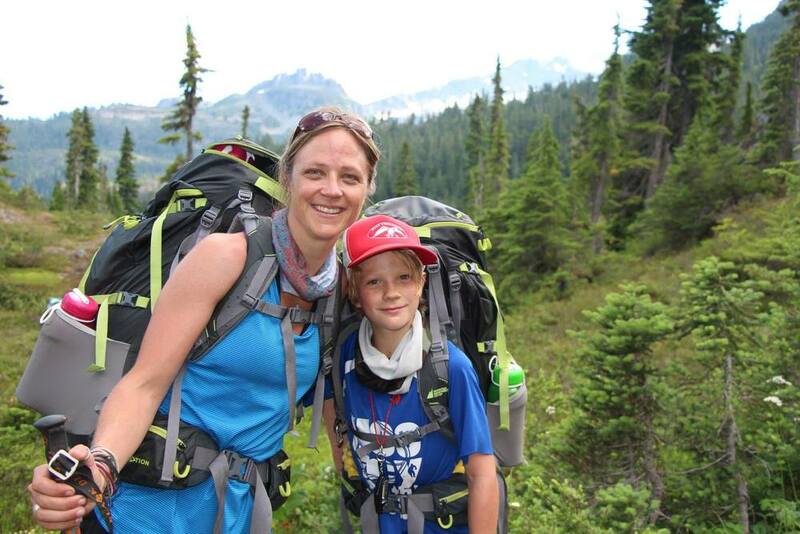 What an honour to have our Zao guides serve moms and sons on a unique retreat! Trevor, one of our guides, Alexis, our intern, and I were able to lead this multi-day alpine camp, giving these great families the gift of adventure. And the gift of time. I love watching people step away from their comfort boundary, crossing over into the unexpected blessings of a wilderness adventure. Alexis planned and cooked the full-service catering experience, and Trevor led us to the top of a peak on a hot, bluebird day. Highlights from this camp included "duo time" (moms and sons out for an hour together, reading the word and sharing the shade of subalpine tree boughs and a soft carpet of heather), writing our own mountain psalms, watching from a mountain ridge as the sun broke the eastern horizon, and eating wild blueberries. God is good! 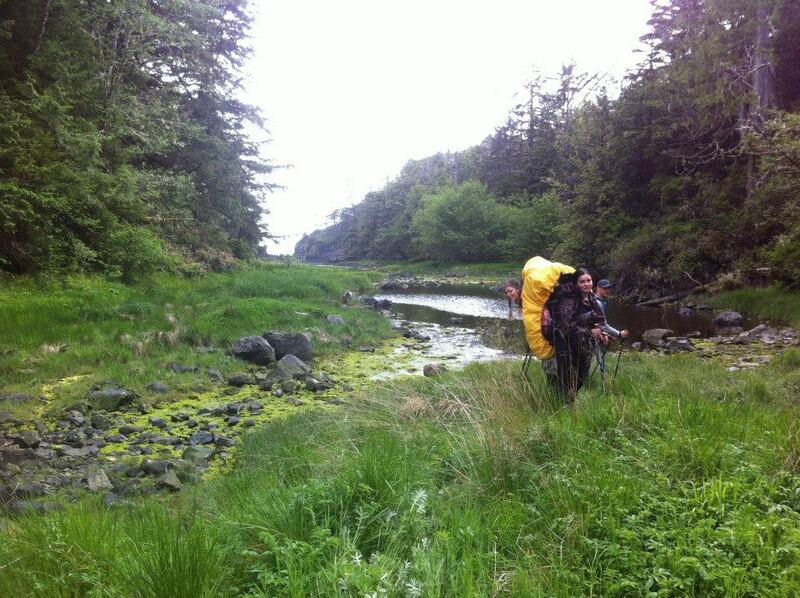 After a lot of prayer, planning, and wonderful work by many people, our inaugural wilderness trip got off the ground! 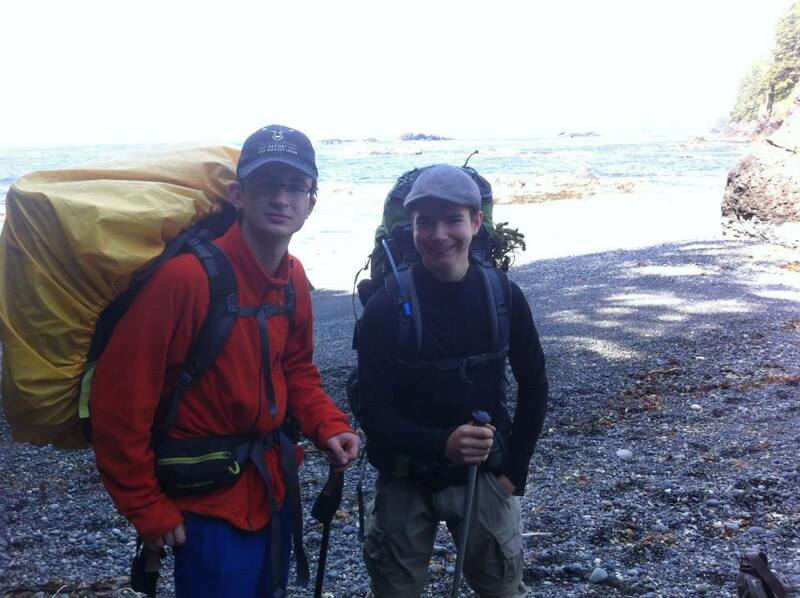 We welcomed students from Heritage Christian Online School to our basecamp in Campbell River. The school values experiential education and opportunities for worship in creation, and they have brought us on board with their newly formed Adventure Discipleship Program for grades 10-12, which is a blend of applied skills, bible, leadership, and P.E. 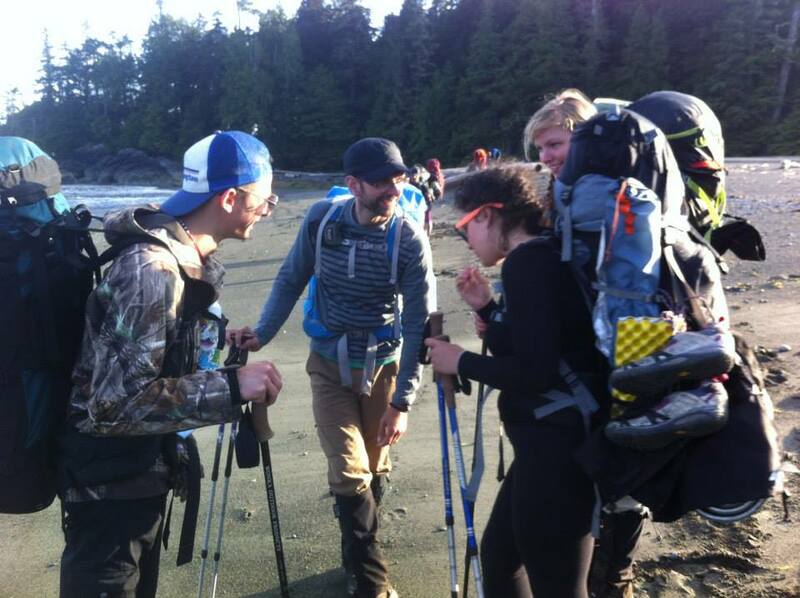 We spent the first afternoon getting to know one another and we went over equipment, and had a chance to check in with campers about their goals and expectations for our Nootka Island adventure. Notably, a student was hoping for "rain" and "wildlife sightings". He was not disappointed! Our first morning saw us have some quick breakfast and drive to Tahsis, where we met our wonderful water taxi operator, Scott, from Tahtsa Dive Adventures. 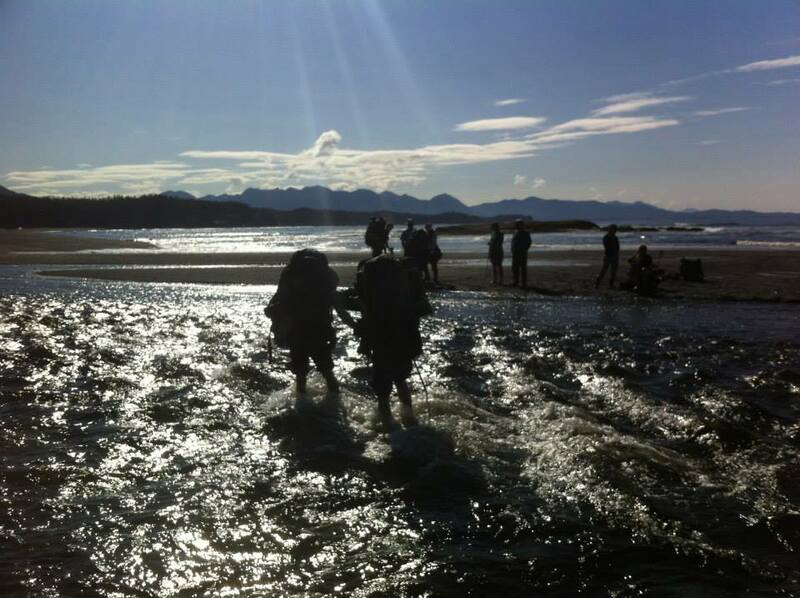 They used their new landing craft, Shorebird, to land us rainjacket-clad hikers at Tongue Point, near the northern tip of Nootka Island. No surprise, it was pretty rainy, yet we spotted dozens of sea otters floating amongst kelp beds. From this point forward, we were on the trail! 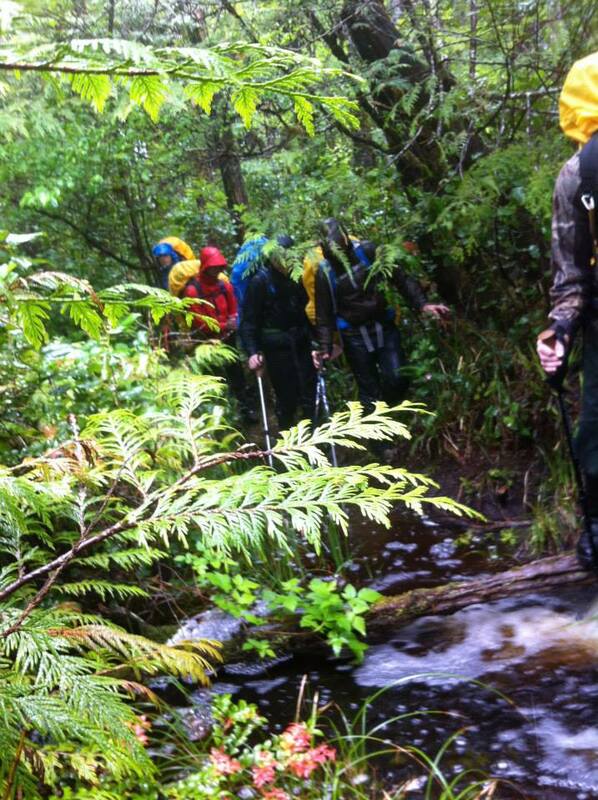 Over the next couple days we encountered some typical wet-coast rain and wind, and our group was challenged by these conditions, the new experiences, and VERY rough trial obstacles. I couldn't have been any prouder, watching students resolve to help one another, literally carrying each others' burdens on their backs. We had to dig deep and ask the important question: who or what am I depending on? In the evenings Alexis, our guide intern, and I would supervise gourmet hot meals prepared by students in our "kitchen" right on the beach. 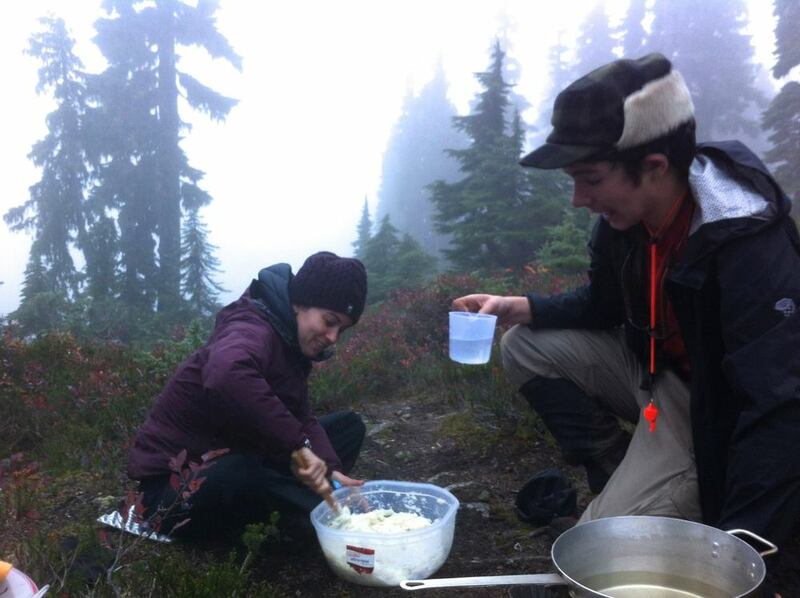 Camp life on a backpacking trip is a welcome reward after slushing through mud and pea-gravel. Our group enjoyed hot drinks and driftwood fires in the evening when James, Alexis and I facilitated fireside discussion and opened the Word. Shoreline air, a stunning sunset over the vast pacific, glowing embers of the warm fire and laughter among friends . . . all after a day of simple wilderness travel, distracted only by some tiptoeing Sandpipers . . . these moments are when we are able to feel God's presence and delight in what he has made. Finding our place with him, resting in his abundant, pursuing love and rejoicing in hope. Hearts are primed to hear and experience the Gospel. Reflecting on some of the conversations and moments we had during these times together reminds me why wilderness ministry is important. For instance, reading the account of Jesus calming the storm in the midst of a, well, storm, highlights the incredible power of Jesus. "Who is this, that even the wind and waves obey him?" 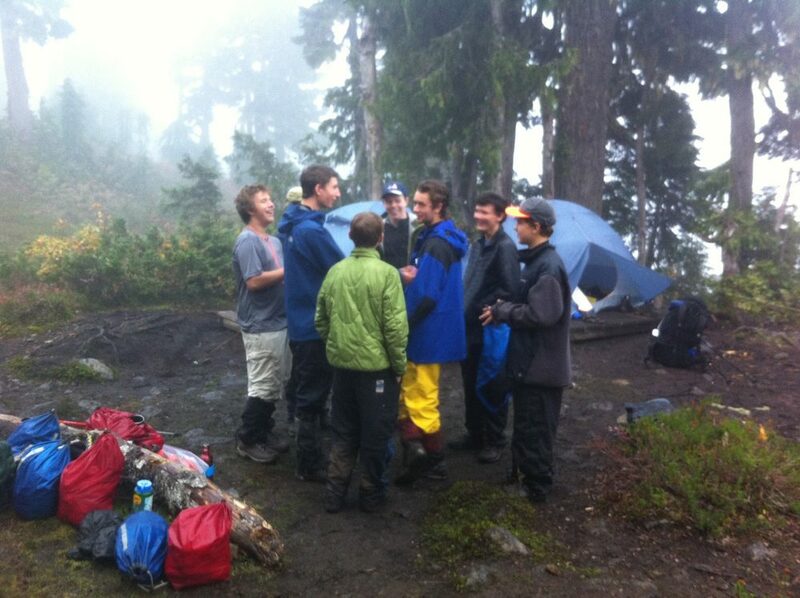 Midway through this hike the weather improved and we began to see the campers become more confident. 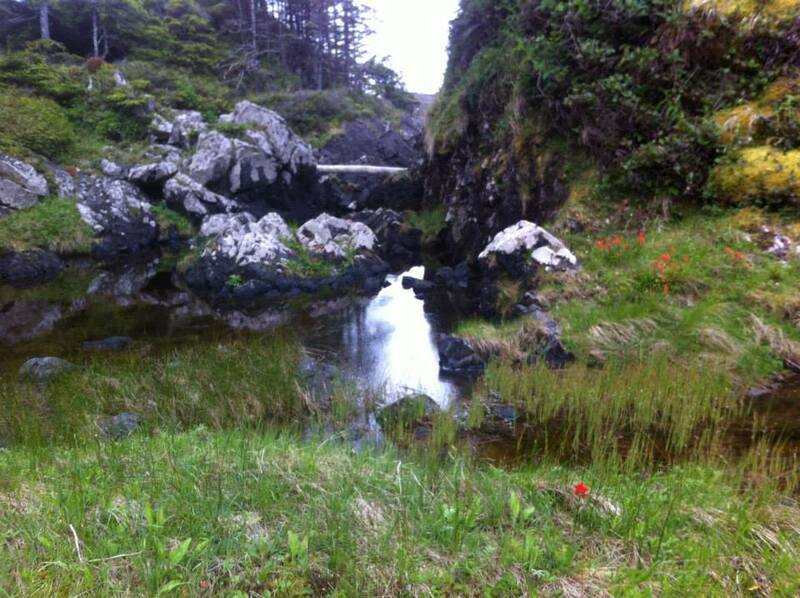 More oriented to their new environment and the natural rhythms of this incredible coast. We saw even more wildlife, our days on the trail became shorter, and we had more time for exploring some cultural history and archeological sites. Before long, we had covered over 35Km and ended up in Friendly Cove where we met some village locals and the light station staff. Eventually we were picked up and returned to the developed environment, doritos and all. I couldn't be more proud of our campers, Alexis and James. Our whole group was blessed throughout this trip and we are so very thankful. What a way to launch out into this exciting area of camp ministry. We encourage you to stick around for the ride! 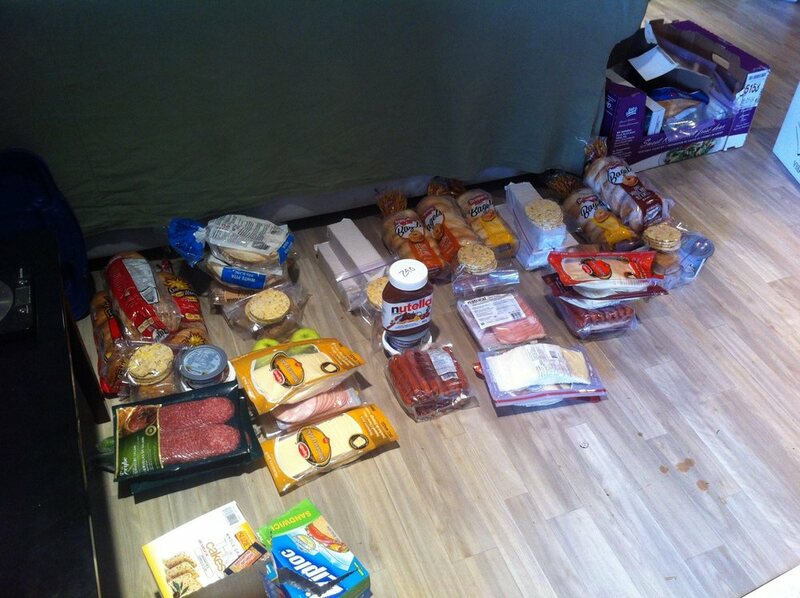 We've been readying and setting for quite a while now, since about this time last year. Now it's go time. 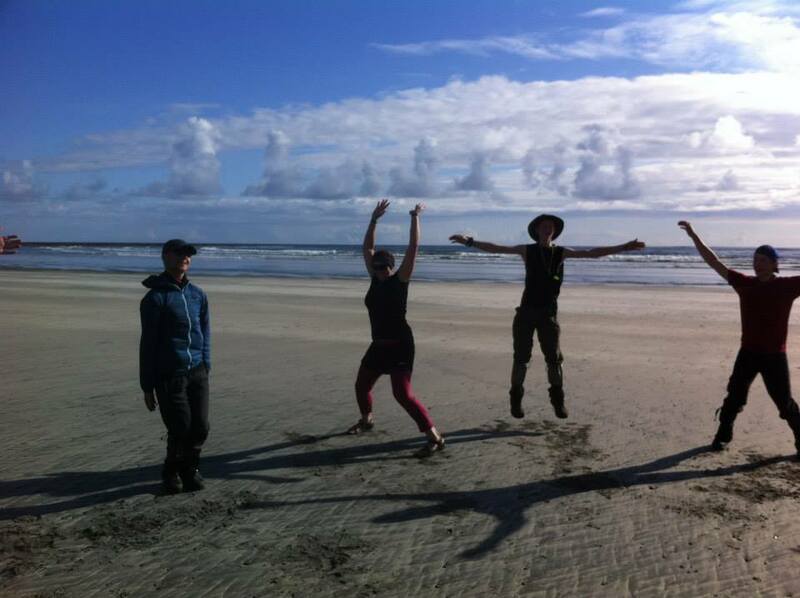 We are thrilled to be on the verge of our very fist program, a custom trip for a group of students. Our inaugural trip begins tomorrow as students and a teacher from an independent school begin to arrive at our base in Campbell River. 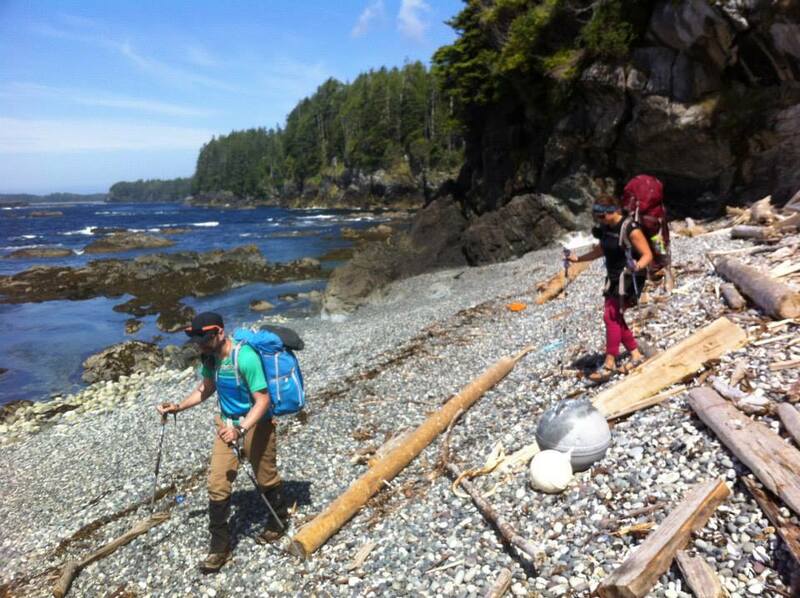 This will be a leadership development program which will see Zao leading a fairly remote wilderness coastal hike on Nootka Island. Grade 10 - 12 students in this 7 day program are capping their semester of a new pilot course called Adventure Discipleship, which incorporates a lot of skills and leadership development. I will post a trip report following our arrival back at base on May 29th. Zao offers industry certified training courses for individuals who work with participants or students outside. The two-day course is designed for leaders who take participants on field trips or day hikes, or for camp staff who lead trips at residential camps. After a couple hours of pre-reading, course material is delivered with experiential learning methods (mostly outside!) and by using case studies and discussion. 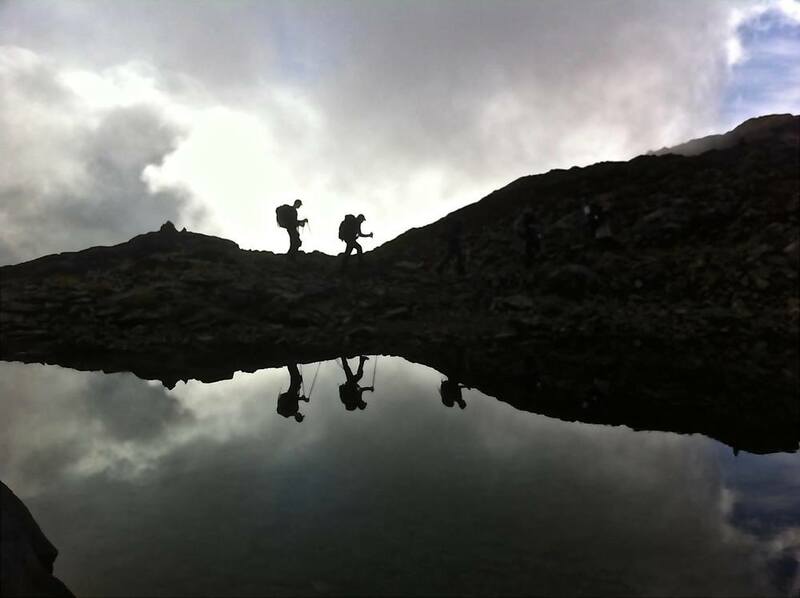 In addition to risk management training and skills development, course participants also learn tips and tricks for a foundation of guiding and practical outdoor leadership skills. 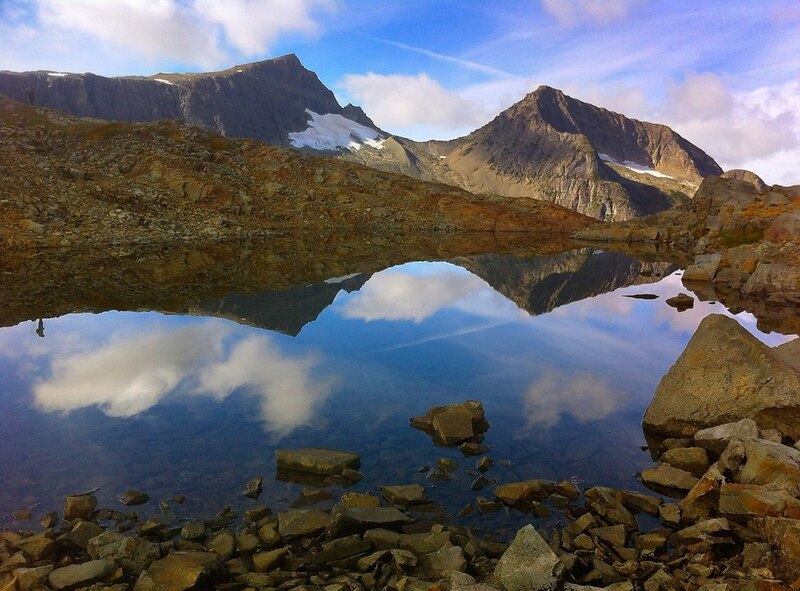 Successful participants will be certified with the Outdoor Council of Canada, and are offered various benefits upon becoming a member. Many administrative authorities are now requiring proof of training and certification; this two-day course is a good fit for many teachers and other workers who are already leading field trips and day trips. If you or your organization is interested in this excellent training and professional development, all you will need is two days to work with us. The cost is dependent upon the number of participants, but it is usually around $100 with a group of 8. If you have any more questions, contact us at info@zaoministries.org. This embroidery isn't particularly impressive on its own. It's just our logo on a jacket. Merely a few colours and a few yards of synthetic thread, stitched repeatedly into a pattern and shape that we recognize as Zao. When a friend of mine in Australia saw this photo she informed me that her dad invented the computerized embroidery process in the 1970's. With this in mind, I took another look at the embroidered jacket, and began to marvel at the way that the individual threads must have been joined together. They were systematically organized into a recognizable form. In a very similar way, I have been witness to how God has been bringing "threads" of an outdoor ministry together in my own life. He's had me on a trajectory towards this for over 10 years, although through much of that time I felt like a single strand of thread, unsure of who to partner with and how to be planted into the wider community of outdoor ministries. I spent five excellent years working in youth ministry with Young Life of Canada, honing skills as a youth worker and even leading a few trips. But I never really believed that a vocation in the wilderness adventure industry would be possible. 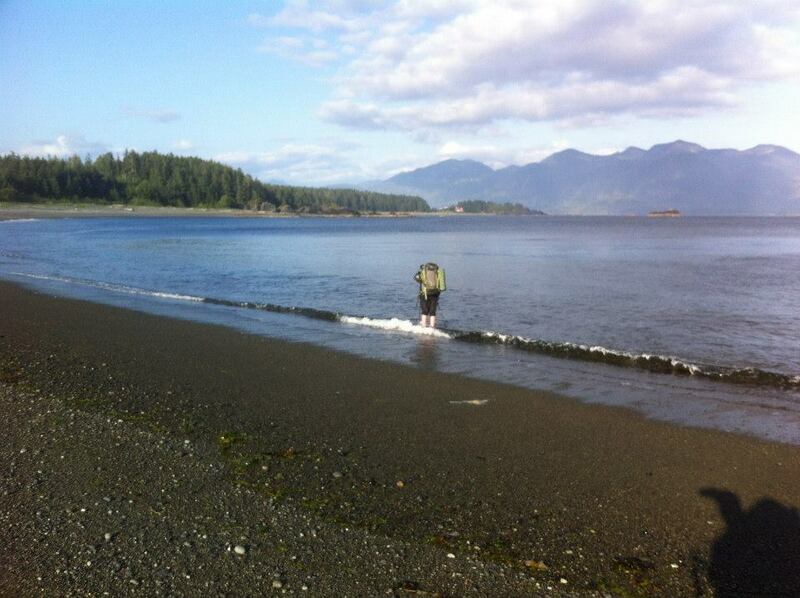 In 2009 Anne and I moved to the Island, and I became a professional backpacking guide. 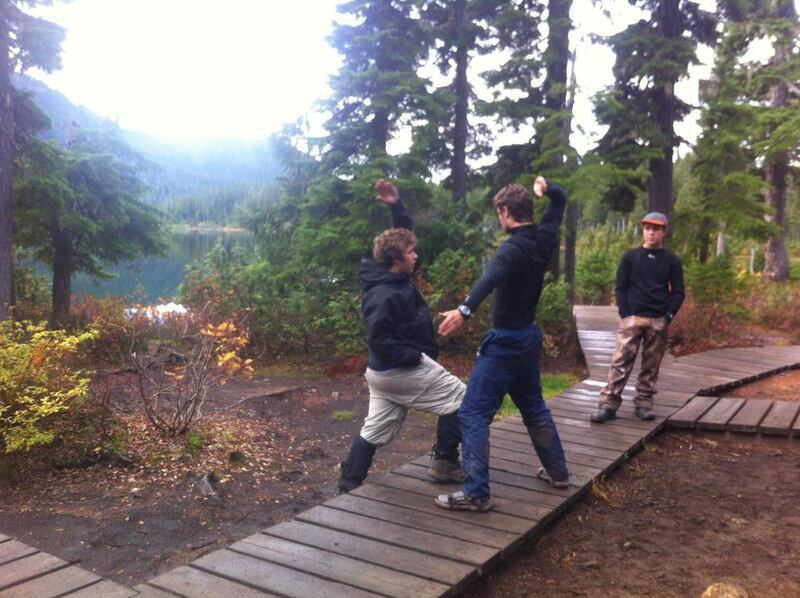 I had opportunities to teach outdoor education programs and guide commercial trips. During this period I had spoken with various people and groups about developing a ministry, but nothing really stuck. I was left to share the gospel primarily with my own life as I served students and guests on different trips (which was not a bad thing!). 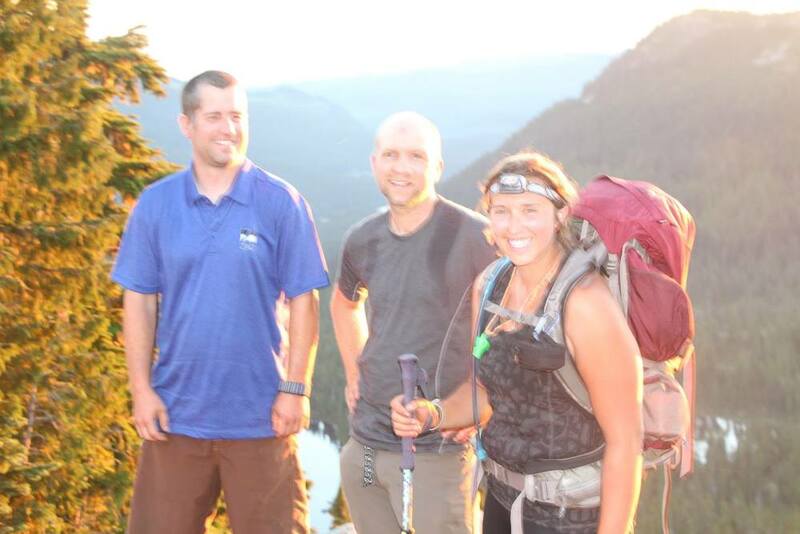 But I was aching for a chance to help shape an outdoor program for teens and young adults that focussed specifically on spiritual development, using the wilderness as a classroom and platform for experiencing Christ. 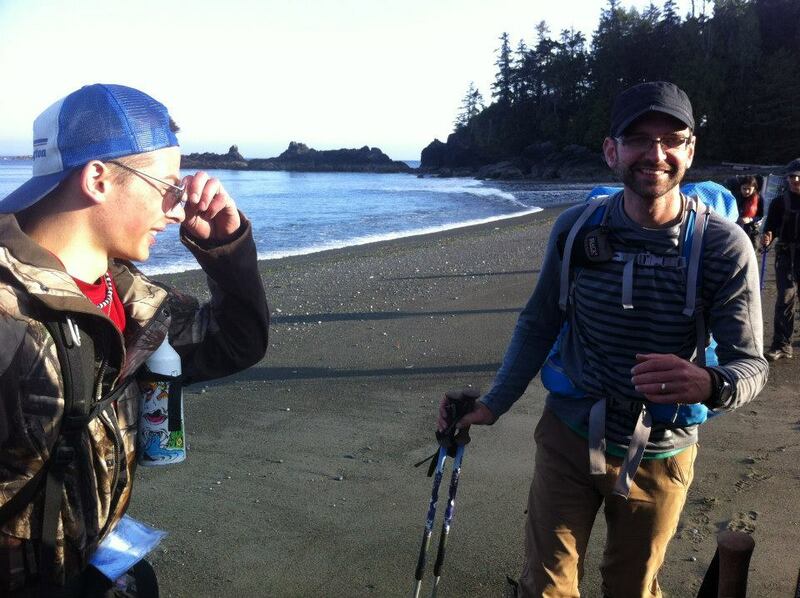 In 2013 the Zao board contacted me about helping them with a new direction for their ministry-- outdoor adventure. I was thrilled to hear from other people who actually cared about outdoor ministry! As we began to work together, I was amused by how God had prepared me for this moment. For instance, I had travelled to attend a risk management conference the previous November, and at the time I had wondered why I had apparently wasted resources on attending something that was designed for program directors, not individual guides! My guiding work and exams gave me opportunities to apprentice under some of the best guides and outdoor facilitators in the industry, and many of my colleagues and contacts have helped me as we work on the administrative pieces of Zao. 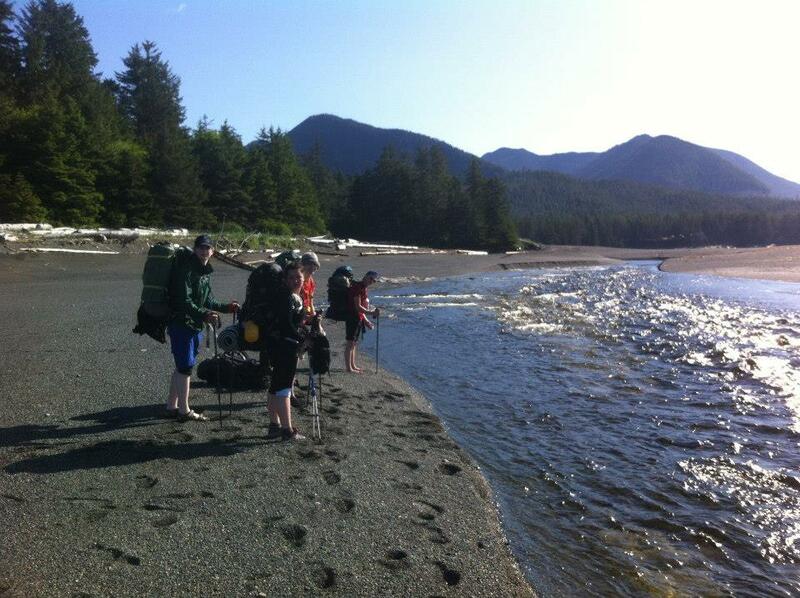 Our farm property in Campbell River is perfectly situated to function as a base for our summer trips. Now, as we are on the verge of our first camps, there are many more people who are planting their threads into the fabric of our ministry. Our board, our interns, our volunteers, people praying for us . . . it's a beautiful thing to watch, and an exciting time to be involved. Just like the embroidery process gave shape to my jacket logo, God is giving shape to our ministry. After all, it is Him who is building His Kingdom by letting us serve Him. Together. My hope is that our recognizable form would be one of dependence on Christ as he builds. It's an honour to be planted with Zao, working with you to that end! and away we go . . . It's been an honour and a joy to be developing Zao over the past 8 months. It's been a joy mainly because I now get to hear from many people who also see the vital importance and value of an outdoor ministry to young people. Who knew there were so many of us? I'm beginning to see some real benefit in connecting these folks with one another so that we can develop some real momentum as Zao grows. The website went live today, and though it's not completely polished, the most important details are posted and formatted. So far my work with Zao has been completely diverse and dynamic-- from social media and web development to intern recruitment to budget planning to insurance applications to policy writing and then back to partnering with other local ministries . . . it may be a welcome change when Spring hits and we get to plan gospel program and trip logistics! For now, feel free to chime in on the comments about anything related to our progress. We value your feedback. Next post will hopefully contain an exciting announcement about a contract and partnership with a group of BC high school students. Stay tuned. This is for those of you interested in the detailed development and progress of Zao Outdoor Ministries, as God grows us from a shared vision into a tangible ministry, assisting the local church in making disciples of Jesus. Your input and feedback is very appreciated; please participate!